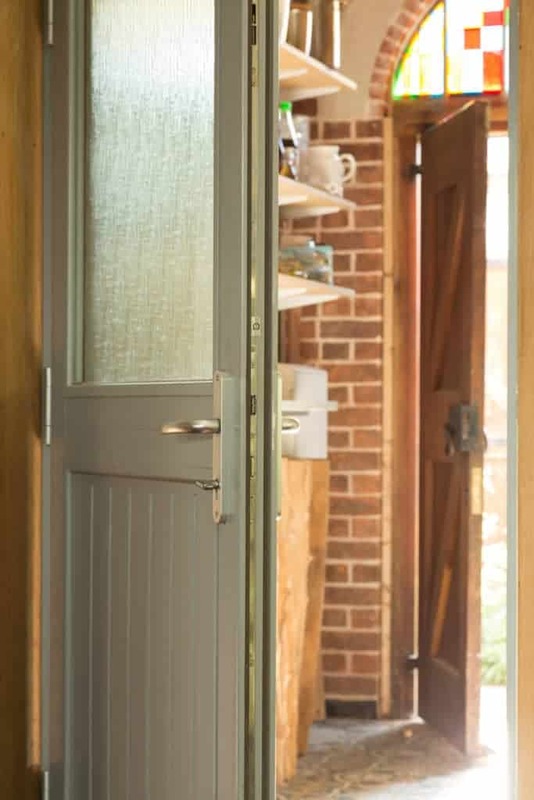 We’re very happy with the windows and doors – they look brilliant and are performing well. 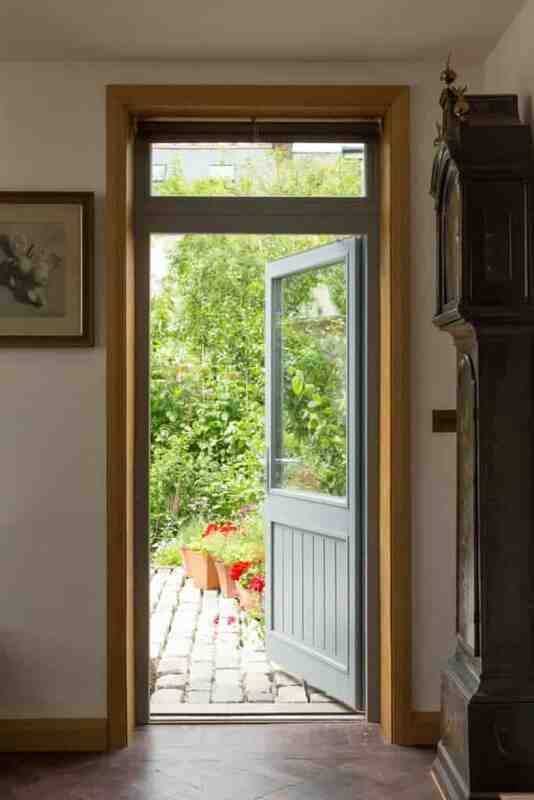 The service from Green Building Store, including fitting team and aftersales, has been fantastic. 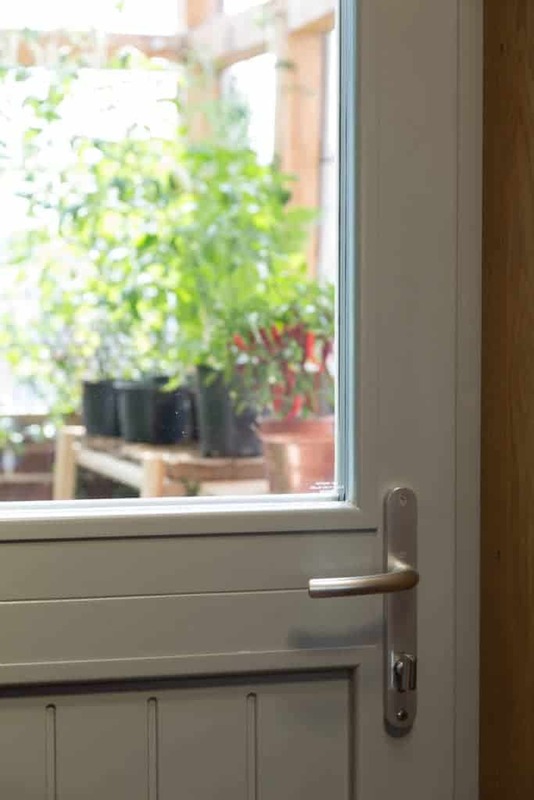 With windows and doors, it really matters to have a helpful and responsive supplier and aftersales team. 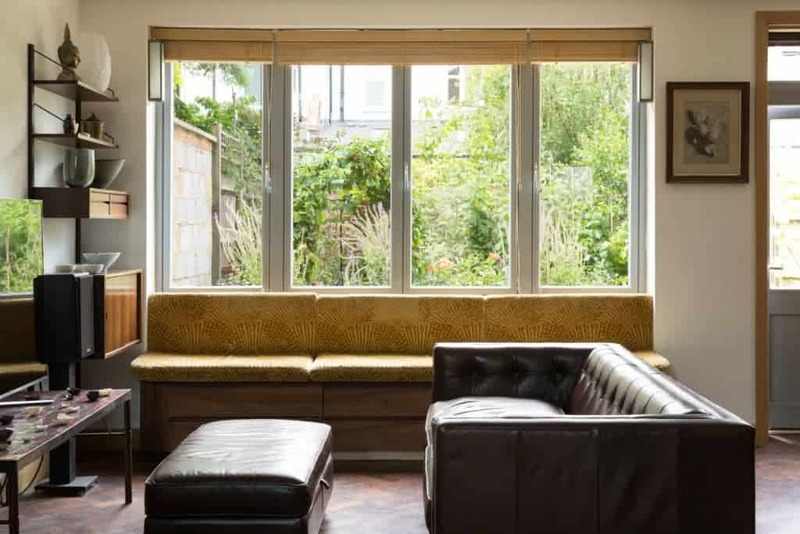 Will Anderson, whose previous selfbuild project The Tree House was the subject of The Independent’s Diary of an Ecobuilder column and subsequent book, is nearing completion of his second newbuild project, a two-bedroom house built on a 6 metre wide plot in south London, inspired by the Arts & Crafts movement and surrounded by the eponymous orchard. 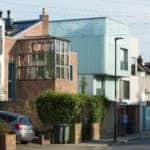 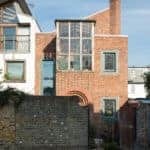 Will’s initial design for the house was turned into something buildable by architect Peter Smithdale of Constructive Individuals. 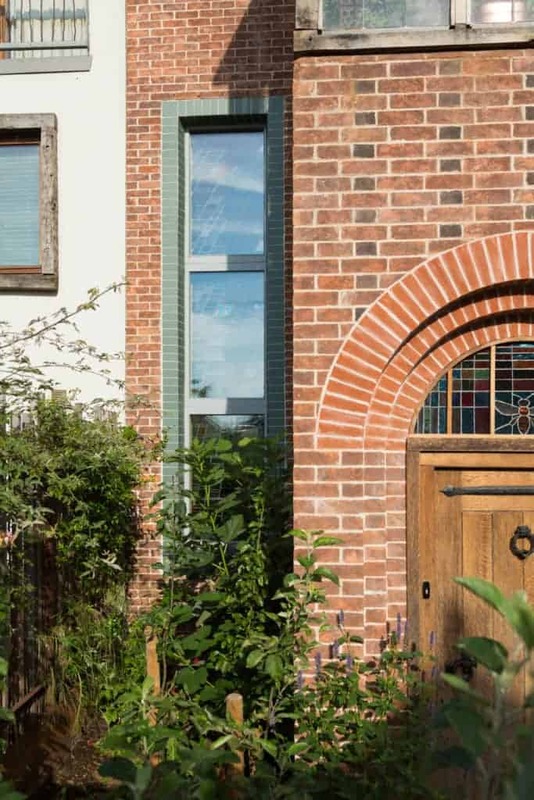 The timber frame was designed by Touchwood Homes, who also erected it on site with labouring help from Will. 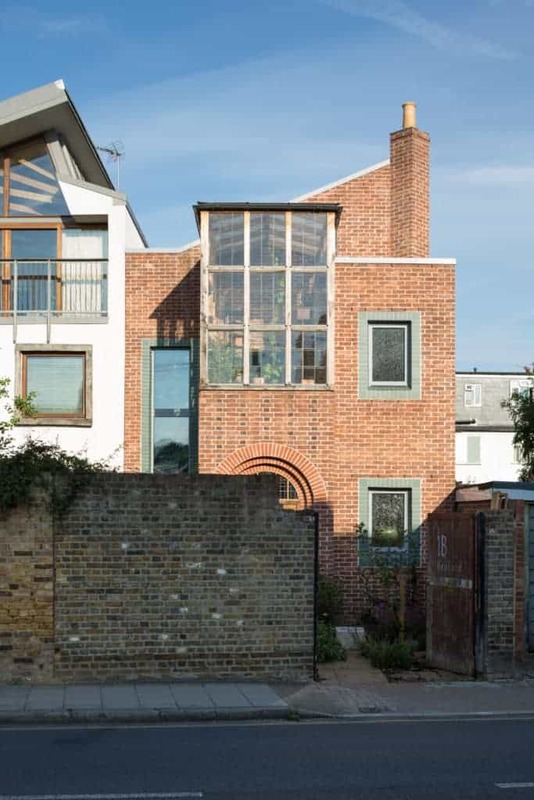 Other than the foundations, the roof and the brick skin, most of the rest of the building work over the last three years has been Will’s own work. 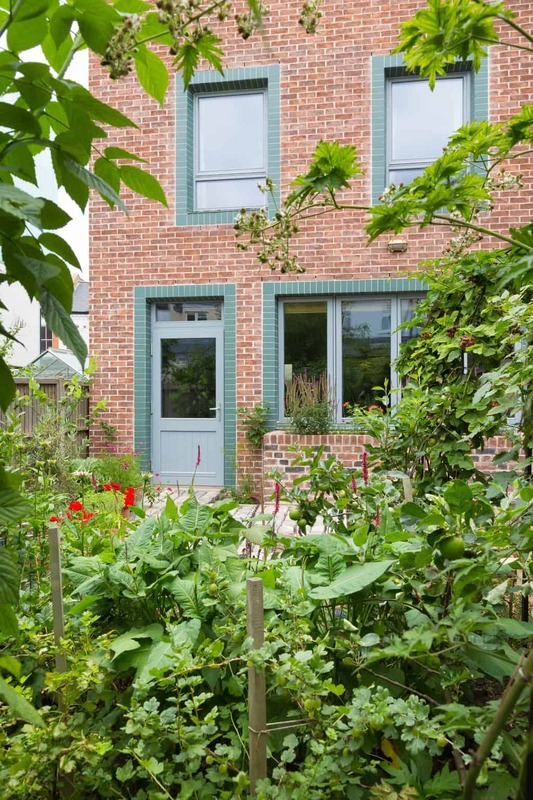 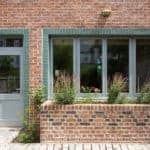 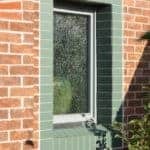 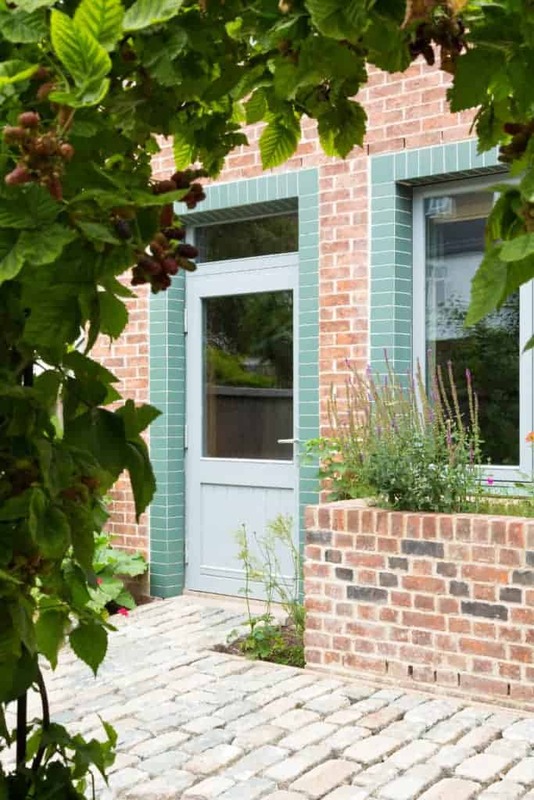 Green Building Store’s PERFORMANCE triple glazed timber windows and doors, with additional insulated frame, were specified for the project. 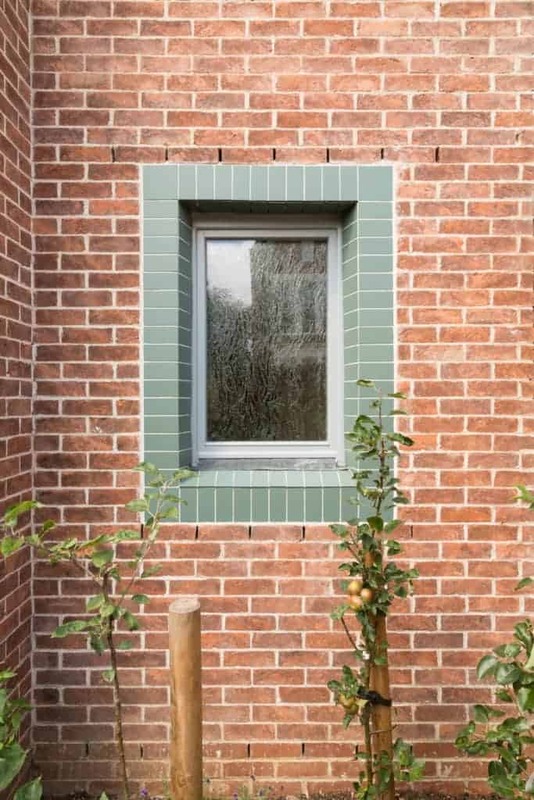 The design of The Orchard is inspired by Deanery Garden in Sonning, Berkshire by Edwin Lutyens. 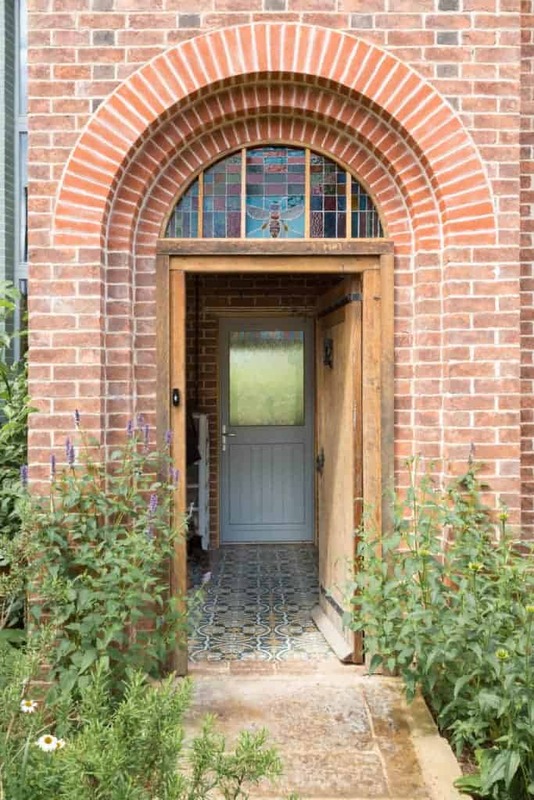 Lutyens began his career rooted in the Arts and Crafts tradition. 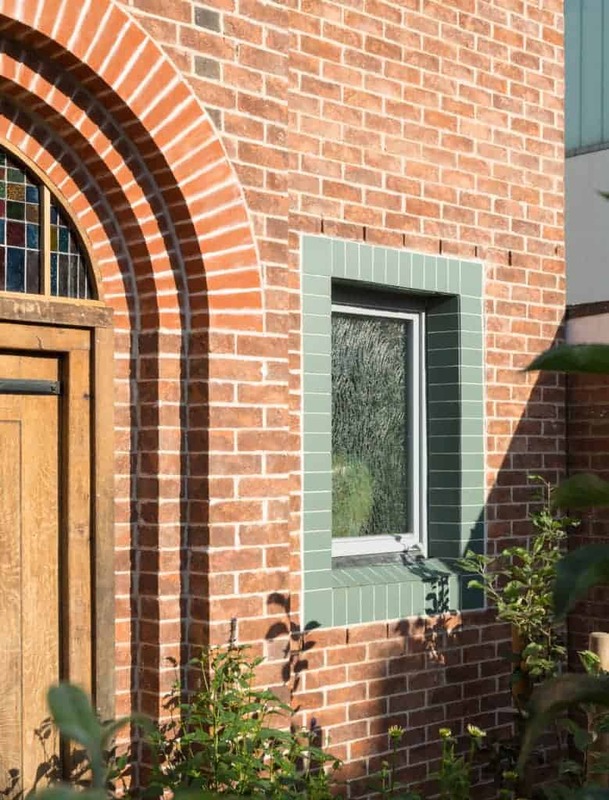 The Orchard combines the beauty and craftsmanship of the Arts & Crafts movement with the high energy performance needed for the 21st century. 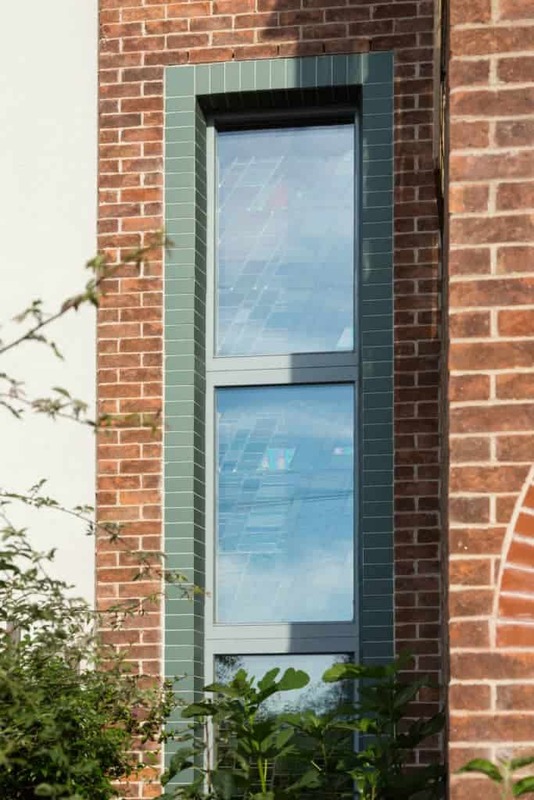 The Orchard was designed using PHPP Passivhaus Planning Package software and the building boasts high levels of insulation and airtightness. 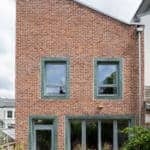 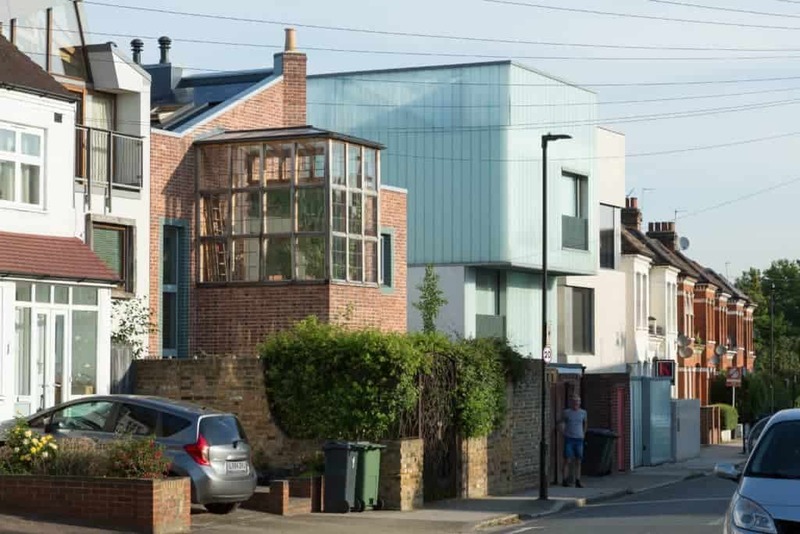 Although the building does not quite meet the Passivhaus standard, partly because it has no southern aspect, the projected annual space heating demand of only 1570 kWh is still exceptionally low for house with a floor area of 100 square metres. 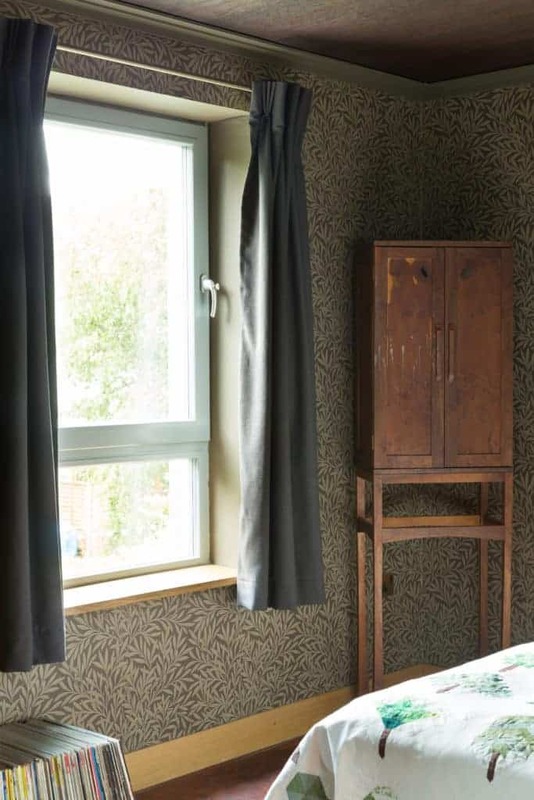 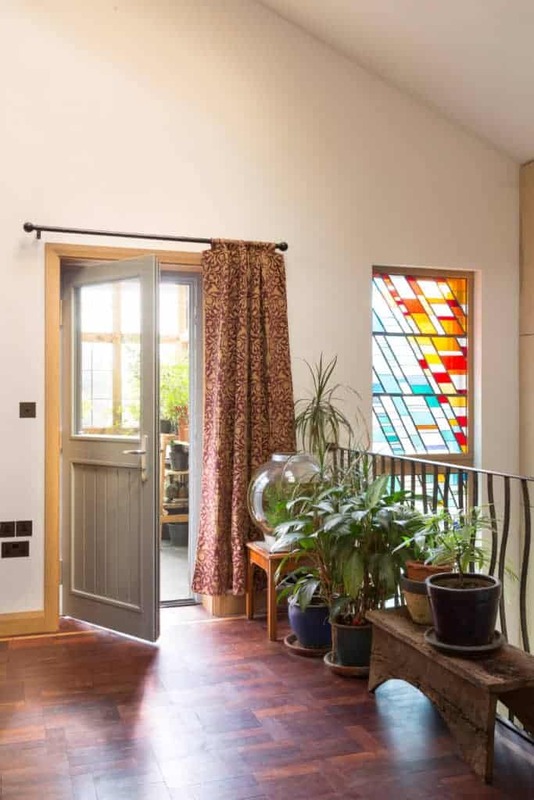 “It is a very low energy house and temperatures feel incredibly stable. 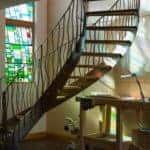 We designed the Tree House to be a net exporter of energy (‘zero carbon’) which we achieved but it was a tough goal ten years ago. 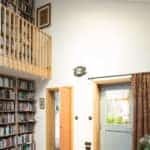 Happily knowledge on low energy building has increased massively since then, so it felt a lot easier to building a low energy house this time around. 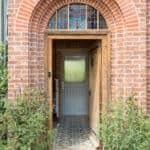 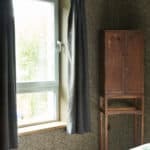 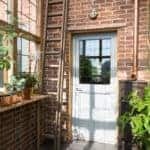 The Orchard has two rooms outside the heated building envelope where Will could pursue the Arts and Crafts aesthetic using traditional building materials. 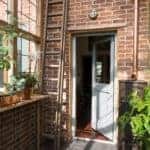 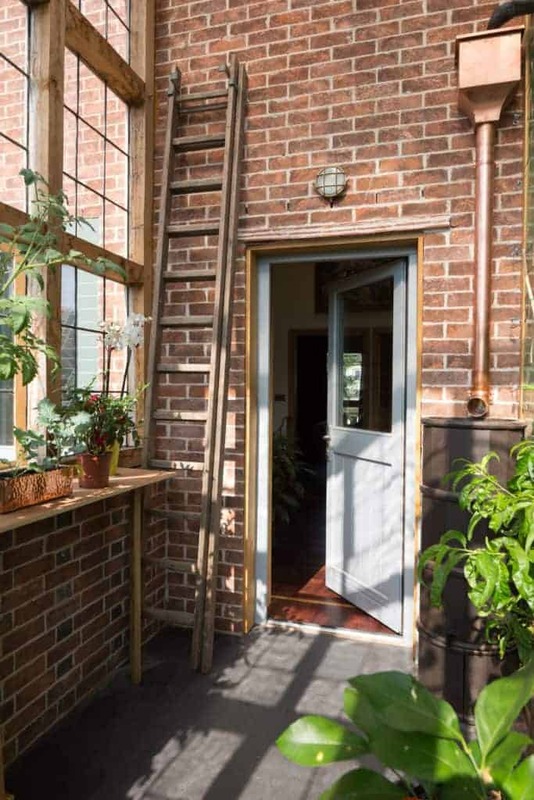 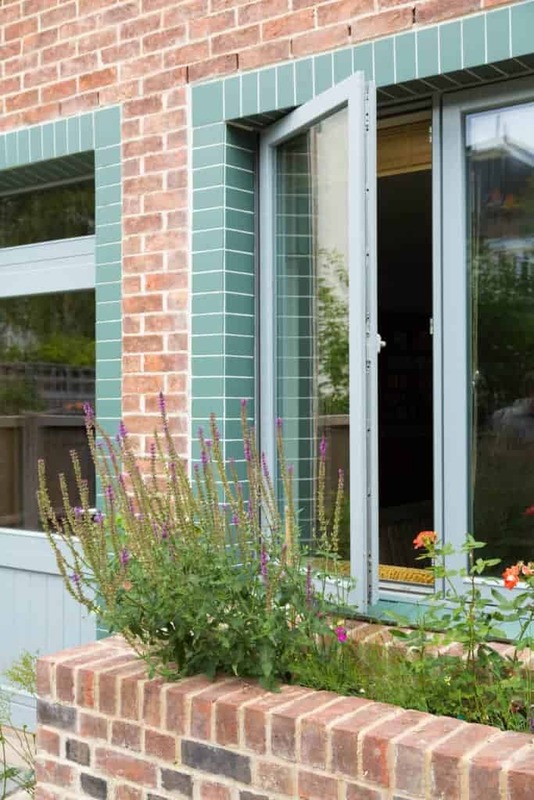 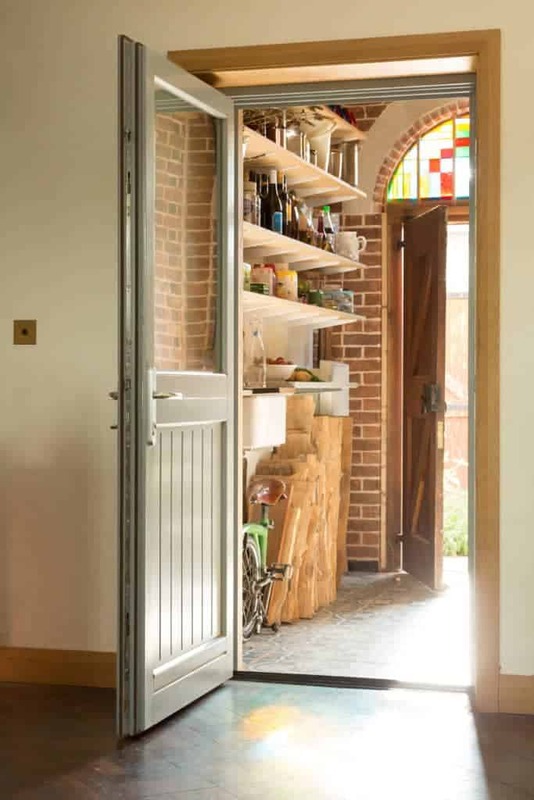 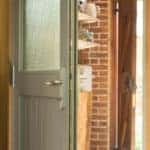 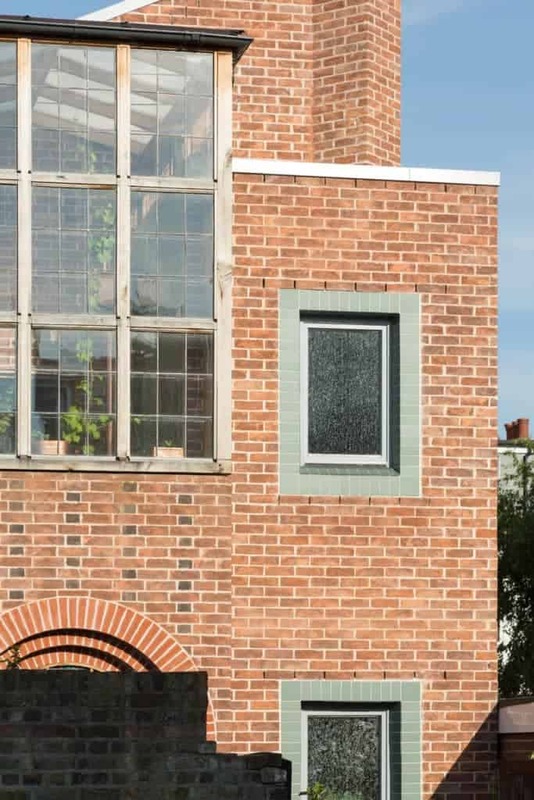 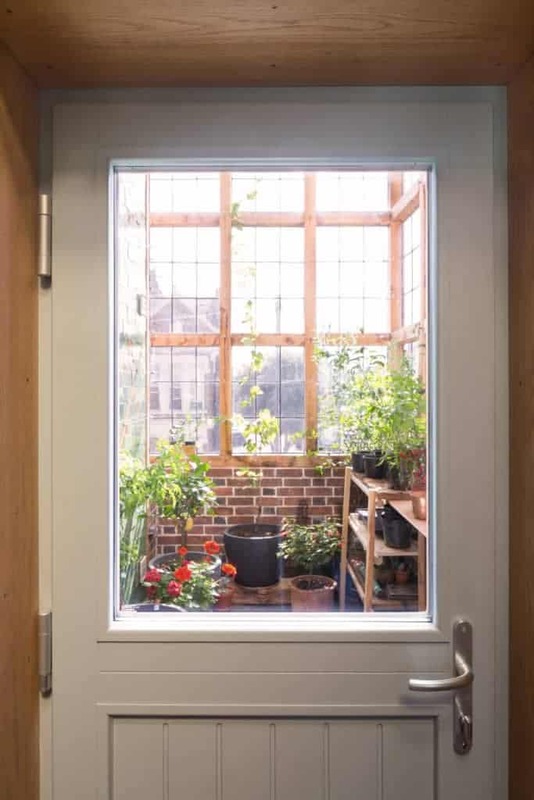 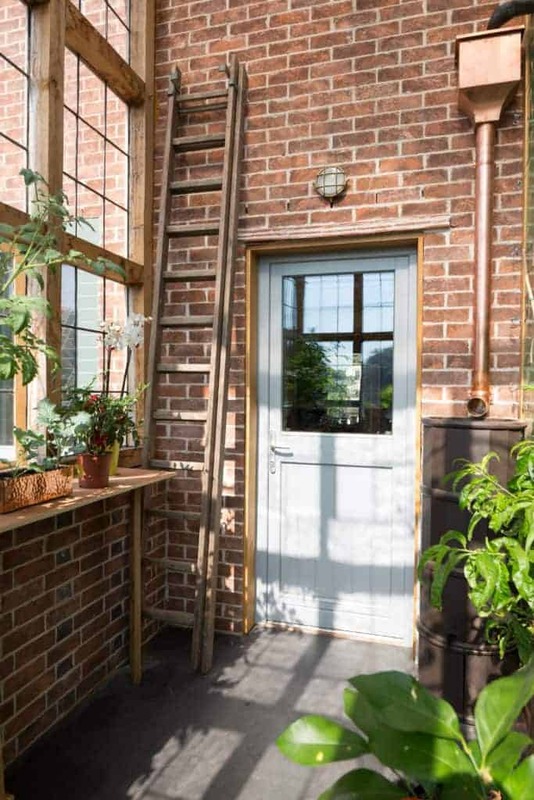 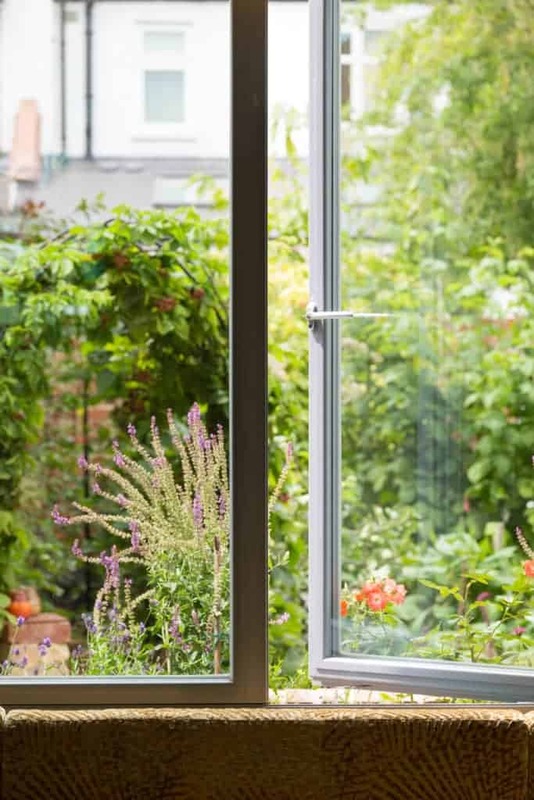 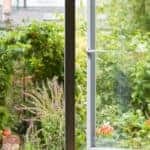 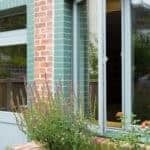 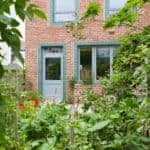 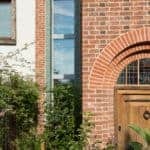 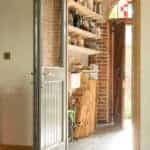 On the ground floor, a solid brick porch stays cool (and so functions well as a larder) while above it on the first floor the warm conservatory is built with solid oak and single glazed, leaded windows, all of which Will made himself. 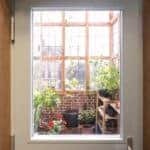 As these rooms are outside the building envelope, they do not adversely affect the performance of the main living space building fabric. 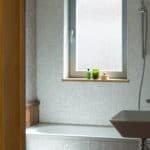 In the winter, the minimal heat load of the building is met with a single thermostatically controlled electric radiator. 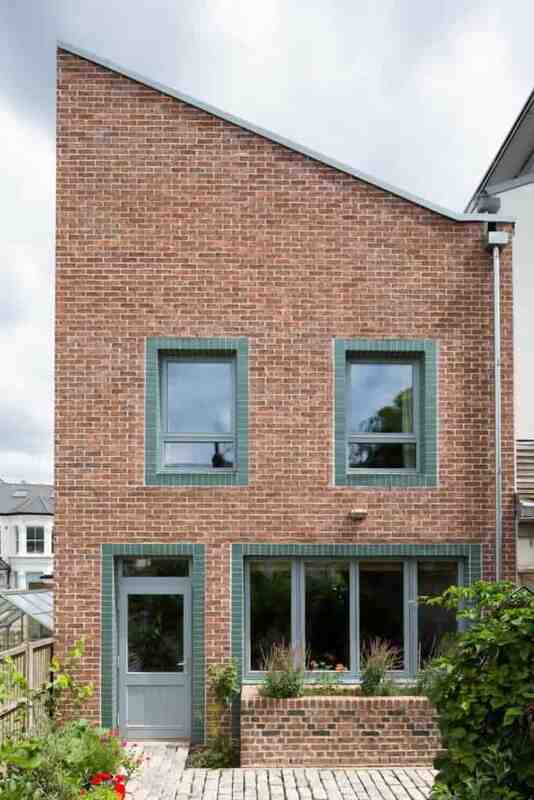 PV panels on the roof supply, over the course of the year, almost all the energy demand of the building. 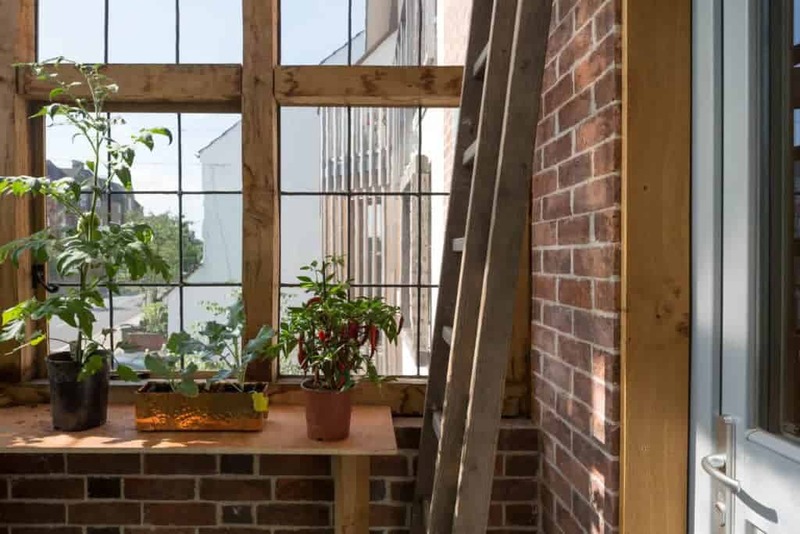 The building has been built from robust and carefully sourced materials including many reclaimed materials (all the floors are finished with reclaimed parquet). 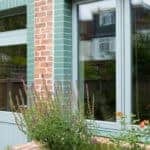 Rainwater is collected from the roofs and mains water is used efficiently. 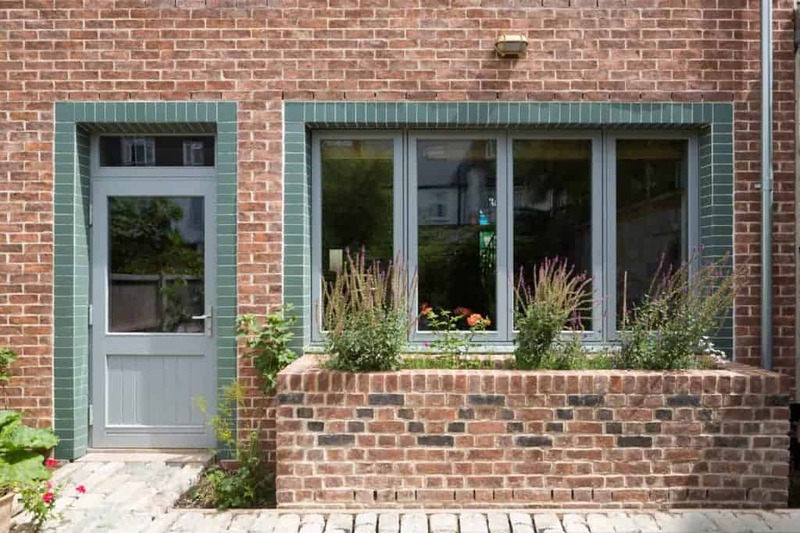 Green Building Store’s PERFORMANCE range of triple glazed timber windows & doors (with additional insulated frame) were specified to help meet the high performance requirements of the project. 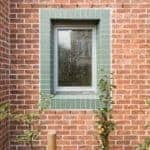 The PERFORMANCE windows were in a mixture of inward and outward opening styles and were finished in RAL 7040 Window Grey. 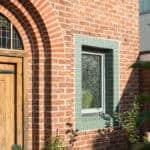 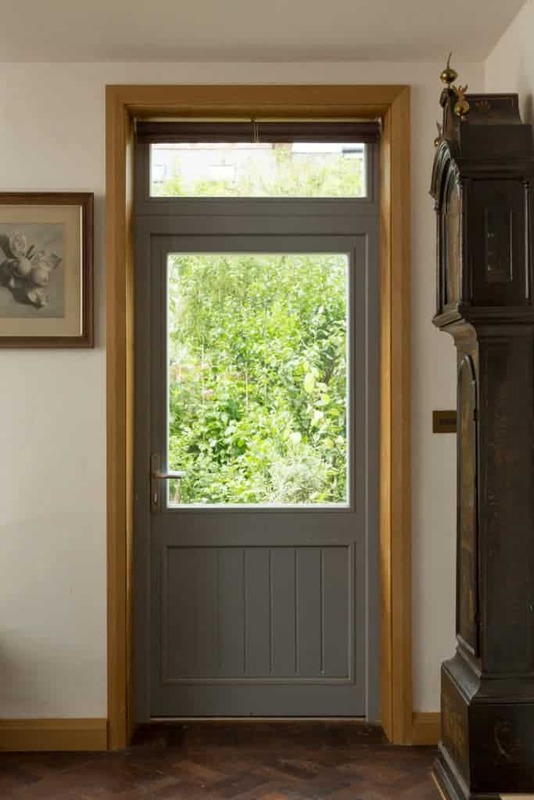 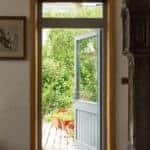 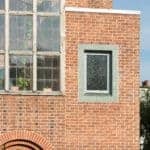 Initially we considered having oak windows but we eventually decided to go for the redwood window, reassured by Green Building Store on the durability of the paint finishes. 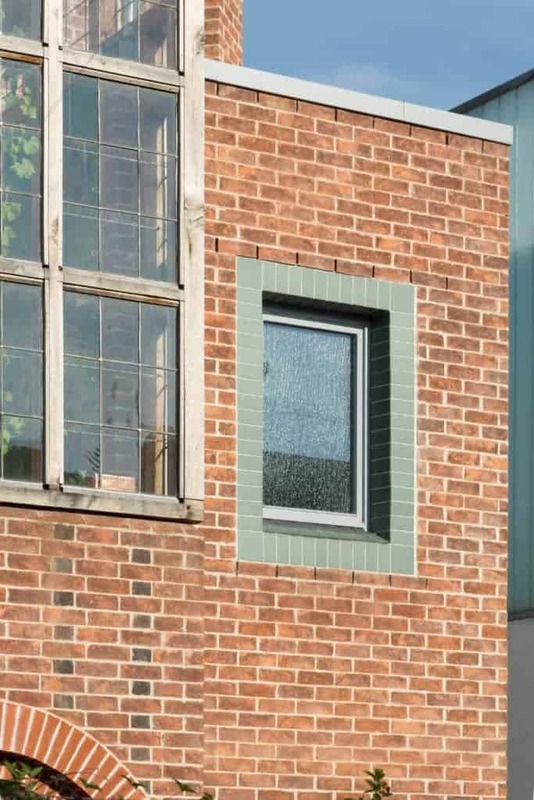 It’s obviously critical to any building project that the windows fit. 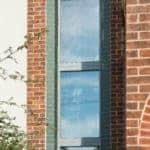 I didn’t have to worry about this as our architect, Peter Smithdale, was his usual meticulous self in matching the window specification to the timber frame. 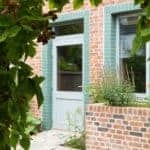 Luke Gilman at Green Building Store was also incredibly helpful and coped with the usual succession of changes to the spec before we were absolutely sure we had what we wanted. 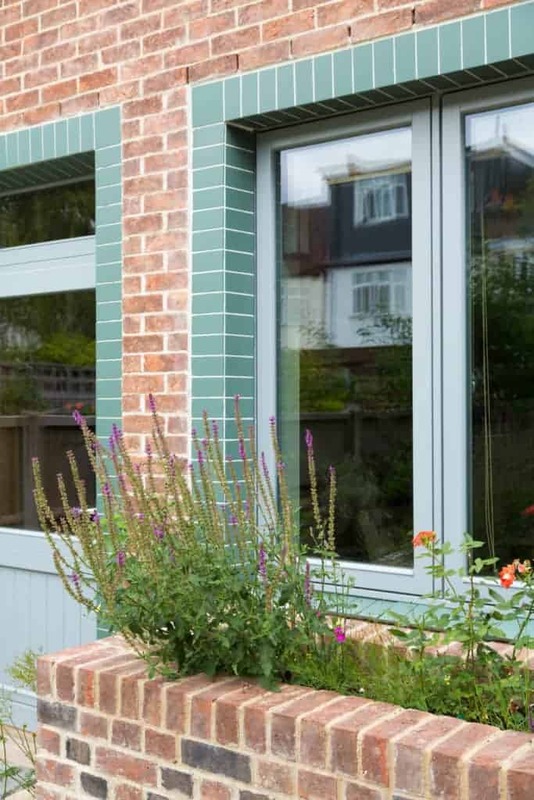 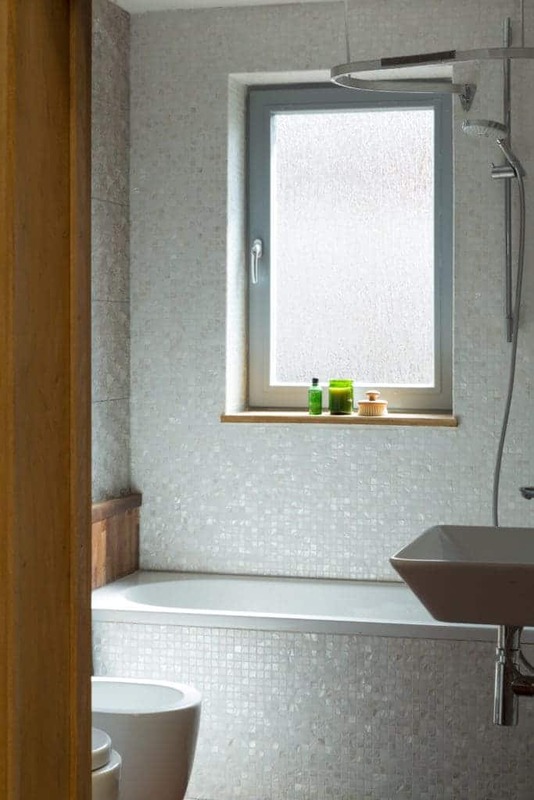 A striking feature is that every window and door has tiled reveals and a front-facing tiled surround . 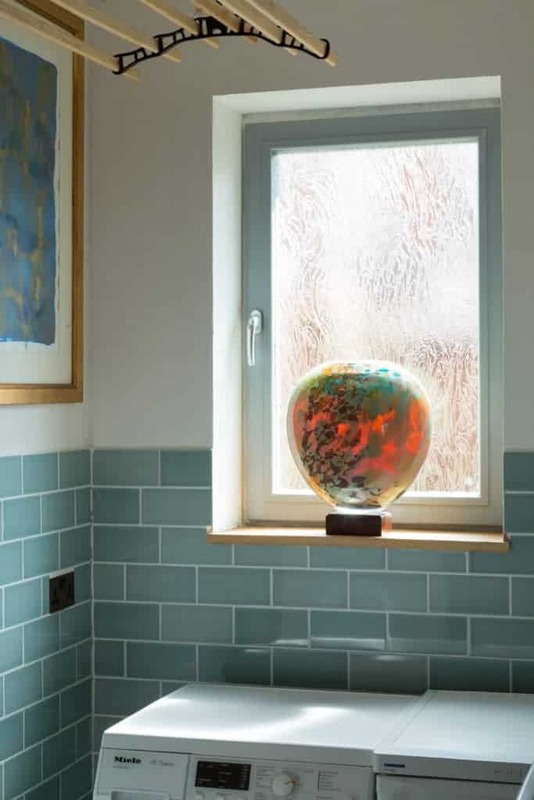 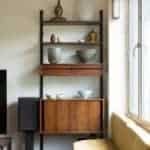 The colour scheme and idea was inspired by Halsey Ricardo, designer of the Debenham House. 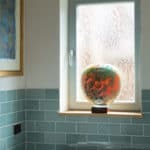 The blue-green tiles from Portugal were chosen to complement the orange-red, handmade Northcot bricks, and are made of porcelain. 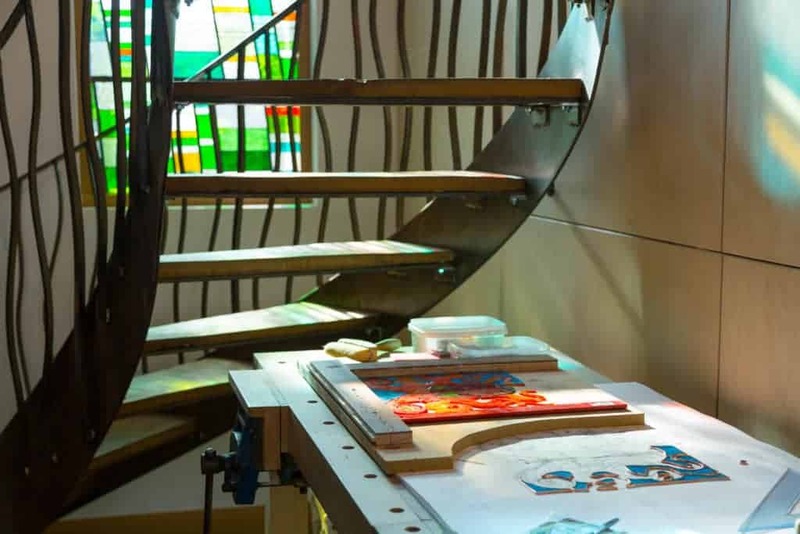 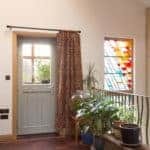 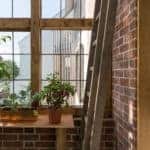 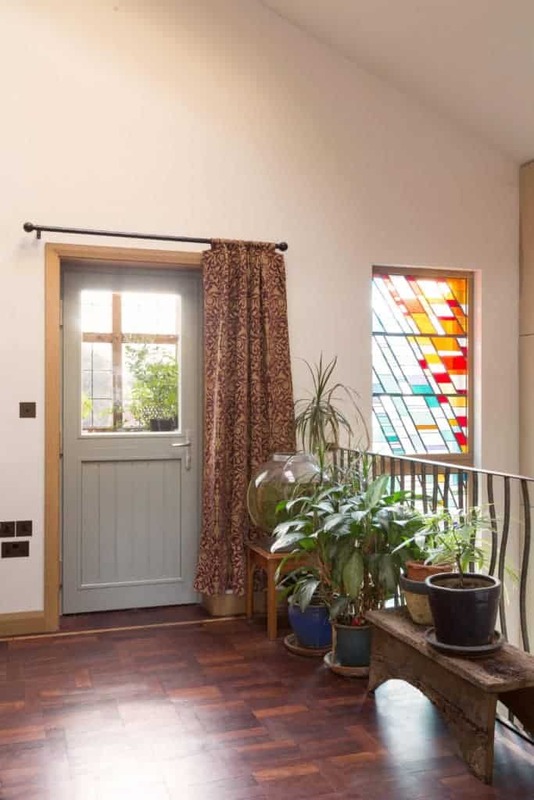 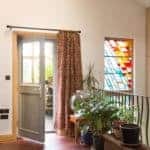 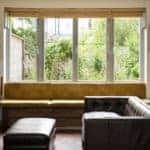 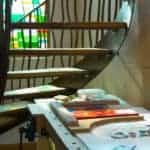 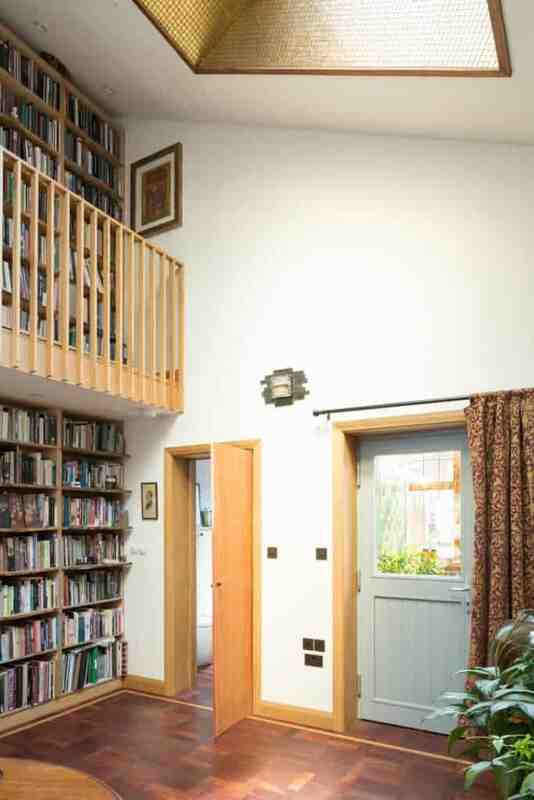 A double storey 4 metre high fixed feature PERFORMANCE window which has helped make a feature of the staircase and which is finished off with 9 panels of stained glass handmade by Will and his partner, Ford. 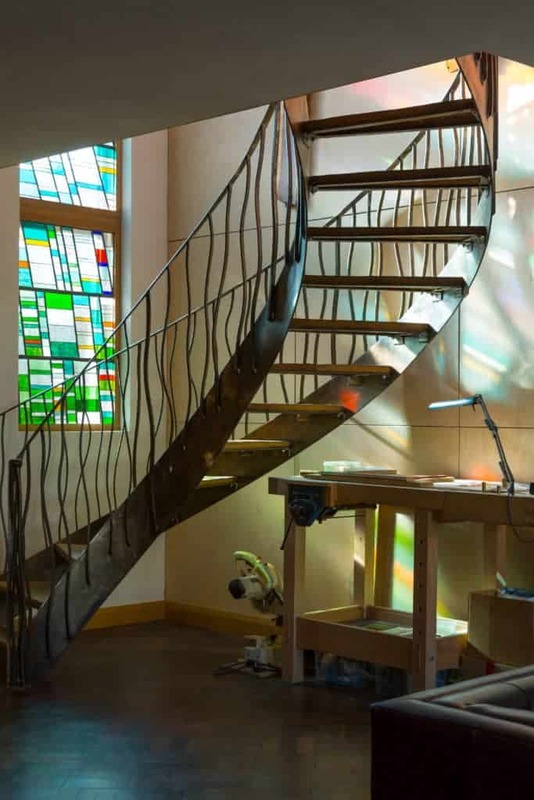 The stained glass is attached to an oak frame sitting on the inside of the PERFORMANCE window, offering another example of aesthetics combining with high performance energy efficiency. 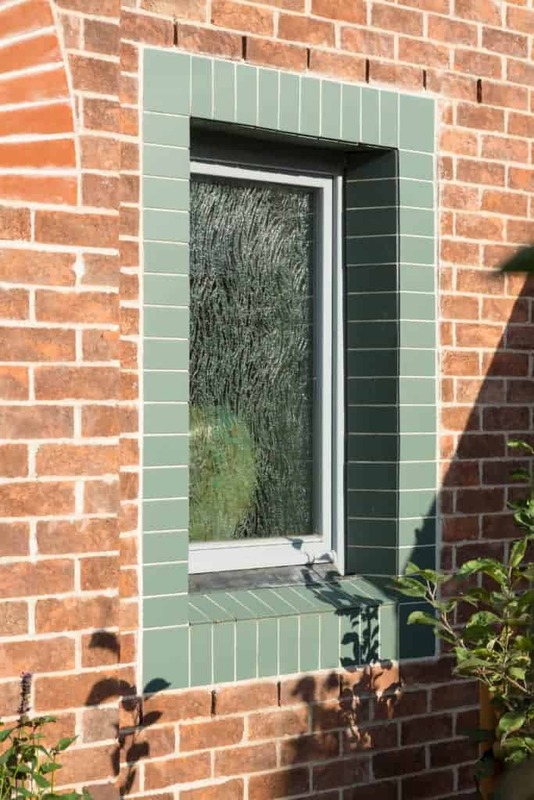 In line with the building’s low energy aspirations, careful detailing was needed around the window reveals to minimise thermal bridging. 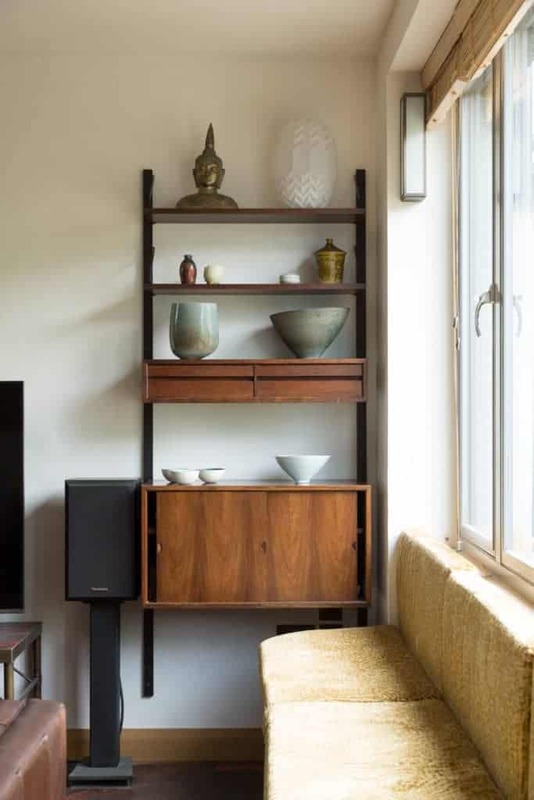 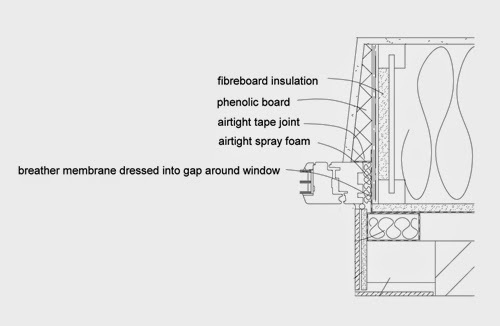 Architect Peter Smithdale developed a detail whereby fibreboard insulation came attached to the I-beam stud in the wall to ensure there was no air gap which the Warmcel insulation wouldn’t reach. 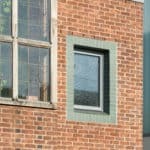 Phenolic board was then installed within the window reveals and covered with plasterboard to help minimise thermal bridging at this junction.